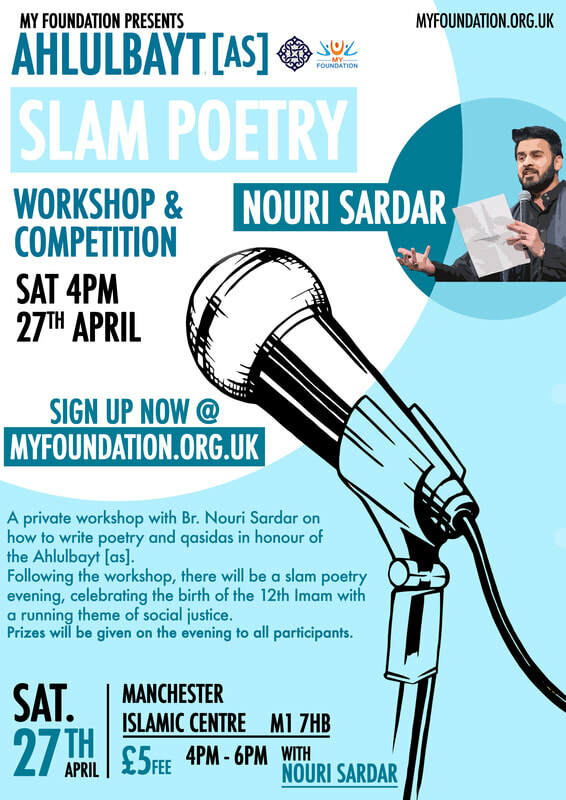 Slam Poetry Workshop & Competition SIGN UP! 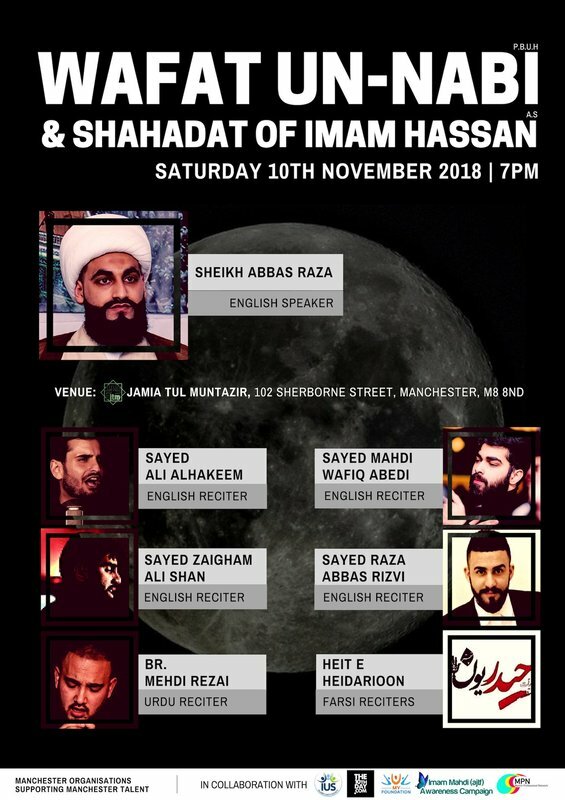 poetry and qasidas in honour of the Ahlulbayt [as]. ​- with a running theme of social justice. SIGN UP TODAY USING THE FORM BELOW! The children’s workshop will involve learning stories about Lady Fatima (a.s) and the Holy Household (a.s). The children will learn Bibi Fatima’s tasbeeh, the names of the Ahlul Kisaa, along with Hadith and the salawat of Syeda Fatima (a.s). This will be taught via activity sheets. A small quiz will be conducted on the last night. Children's workshops will be led during the majalis at starting 7PM SHARPLY for 3 NIGHTS! 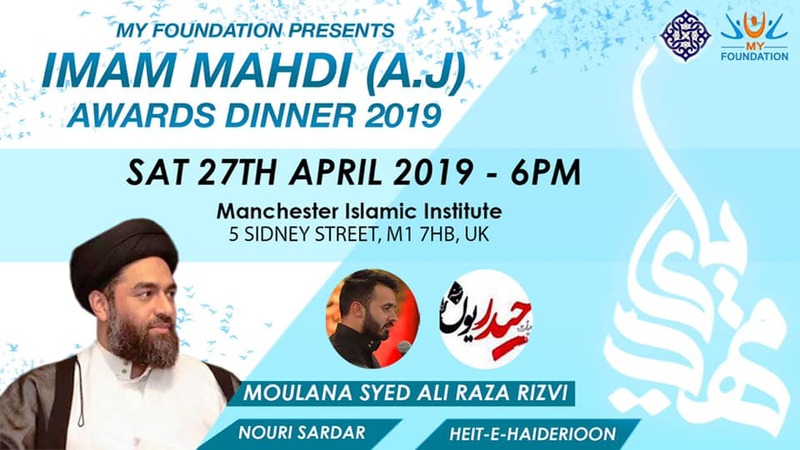 MYF Fatemiyah 2019 | 1440 PROMO NOW ON YOUTUBE! Available in 4K! NOW ON YOUTUBE! Available in 4K! 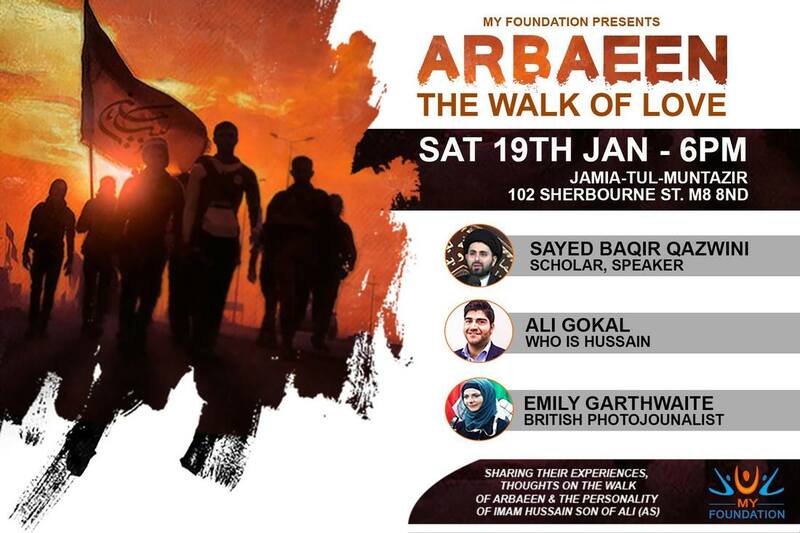 A platform discussing and sharing the stories, principles and inspiration behind the walk of Arbaeen and the personality of Hussain son of Ali [as]. Open to all, brothers and sisters. 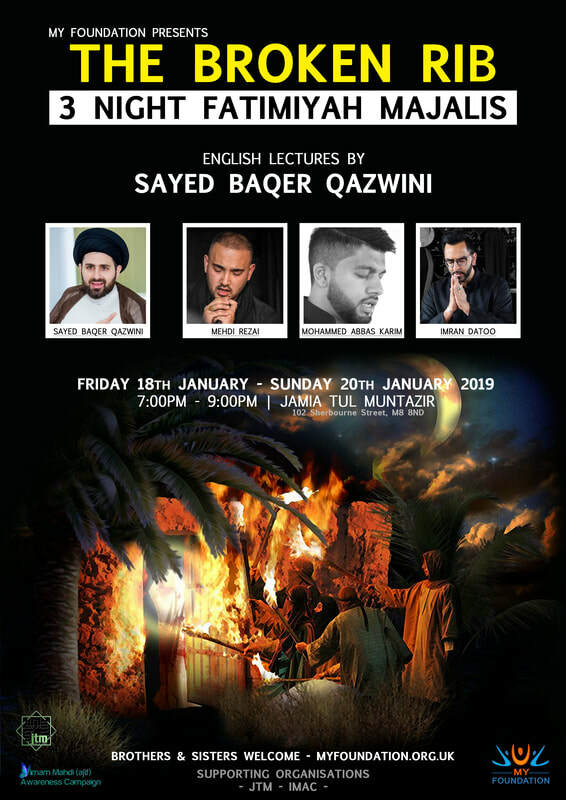 ​The 2nd night of the Fatimya majalis with Sayed Baqer Qazwini will follow the programme. Martyrdom of Sayeda Fatima Zahra [as]. People with mental health problems say that the social stigma attached to mental ill health and the discrimination they experience can make their difficulties worse and make it harder to recover. 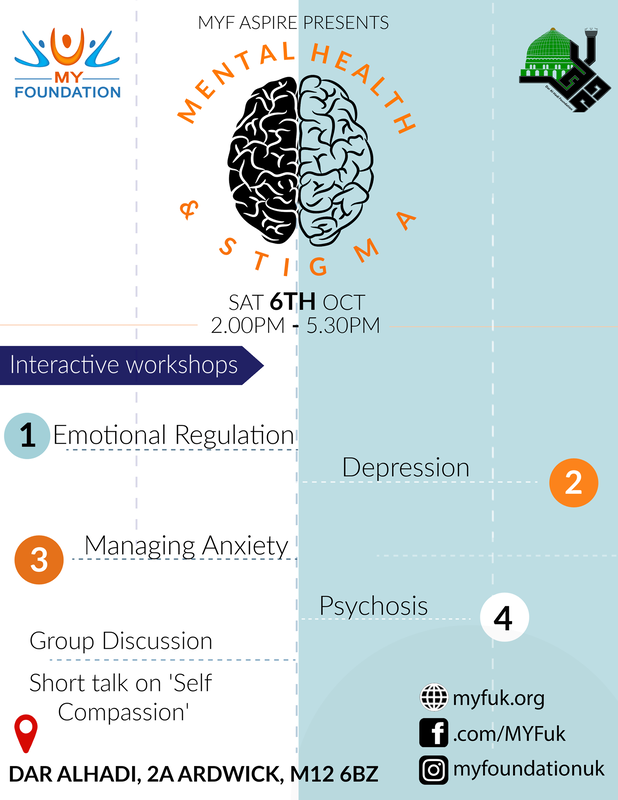 A pioneering interactive workshop helping you to identify, manage, and seek help with a broad range of mental health issues. We aim to help you recognise the impact and difficulties of mental health on oneself and others. The event will include group discussions, Q & A session and more! Join us & help us overcome the stigma and challenges surrounding mental heath! EVENTS & UPDATES List - Subscribe Now! 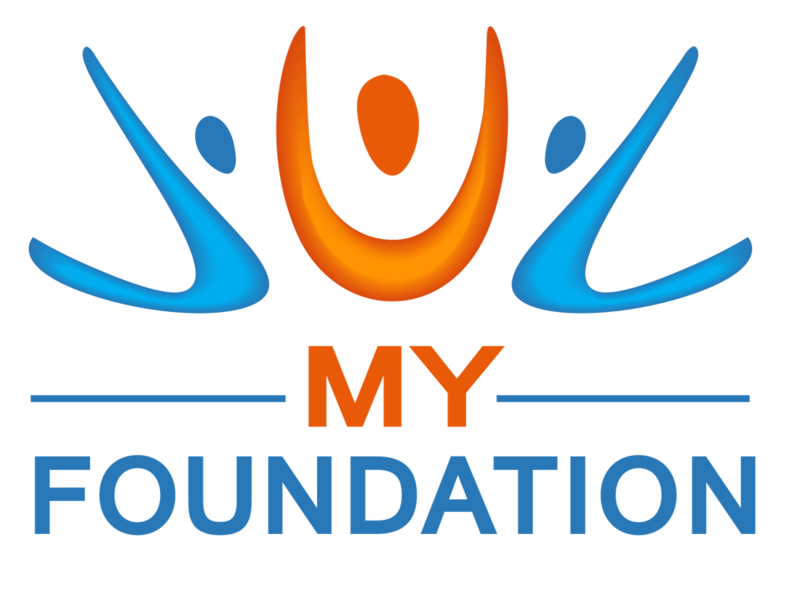 MY Foundation Mailing List - Subscribe Now!